Training für Salesforce, Oracle CRM, BI und DB12c - Engaging Senior Stakeholders to Define Clear Objectives, Get Buy-In and Sponsorship. Engaging Senior Stakeholders to Define Clear Objectives, Get Buy-In and Sponsorship. To deliver successful projects, project owners need to engage senior stakeholders to define clear strategic goals and identify key blockers preventing them from executing. This allows you to prioritize requirements and apply resources to the right problems. But, engaging senior stakeholders to define clear strategic priorities is easier said than done. First of all, stakeholders are not always clear about what they want. On top of that, different stakeholders communicate differently. Without a clear understanding and agreement of what the priorities are, it is very difficult to manage scope, which results in projects running over budget and time. In this session, we will share best-practice method, tool, and examine case studies to help project owners. Target audience: Project Owners, Project Managers, Project Sponsors. This workshop will be delivered by Tuan Pham, Founder & General Manager of Tilkon GmbH. He is a thought-leader and expert on Customer Success Management and helping companies realize value from business transformation projects. 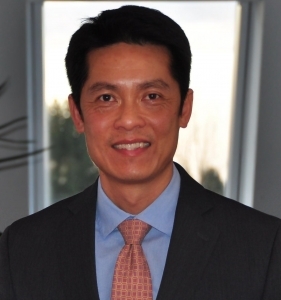 Prior to founding Tilkon GmbH, Tuan spent 8 years at Salesforce.com, managing large and complex projects for some of Salesforce.com’s largest customers.